Which product do you still keep buying more of despite having plenty in your collection? That's a good one! I'm always buying new nail polish, eye shadow and lipsticks. What’s the one product you couldn’t live without? Lip balm, like I said many times in my beauty posts, I really hate dry lips and I have way too much lip balms everywhere around me. I can't stand not using it every single hour haha! How big is your makeup collection? It's growing every week! Haha! I don't know exactly how many things I got. I have probably around 60 nail polishes (I'm giving them away every month to my cousins, but the number is still not any lower), I have around 10 big palettes, around 40 lip sticks... But I don't wanna talk about small single eye shadows and those stuff. I have too much of these things! And how do you like to store it? I have my nail polishes on a place where I can see them all at once! And lipstick in my "lipstick" storage box and other things kinda together. How many items of makeup have you got in your handbag at the moment? Not a lot. Only lip balms and lipstick. I don't carry a lot of makeup with me. How long does your usual makeup routine take and how many products do you use? I can be ready in 5 minutes if there's a hurry. But normally I like to enjoy doing my makeup, I take the most 15 minutes. Okay, special occasion around 20. Probably around 10 products. 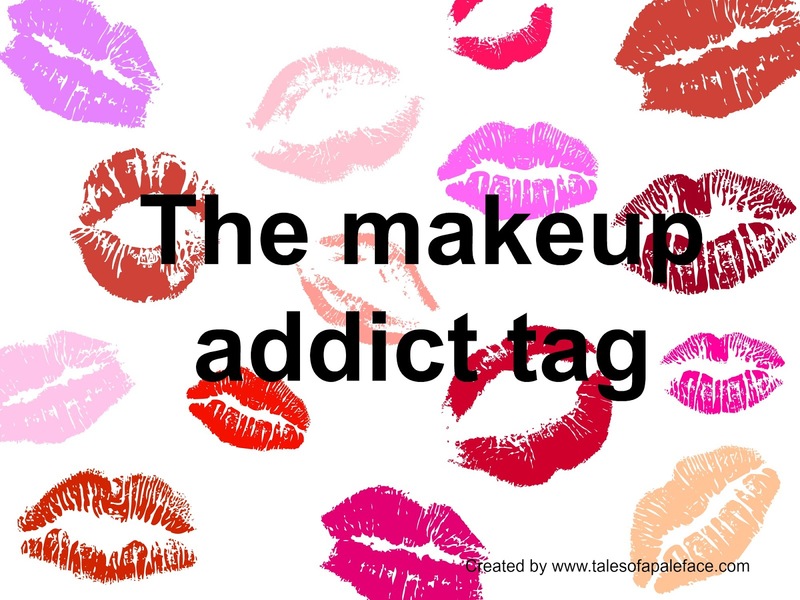 Powder, blush, fixer, lipstick, eye shadows, eyebrow pencil, kajal pencil, mascara and some lip gloss maybe. Have you ever bought makeup knowing you wouldn’t use it? I'm not doing any tags, but now I decided that I will start doing them, because they are so much fun! If you know or you want me to do a tag that you like, let me know!